Facial oils and what on earth to do with them. If you pay attention to any form of beauty media, you’ll probably have heard of facial oils. If you’re like me, you’ll have not quite got around to bothering with them yet. 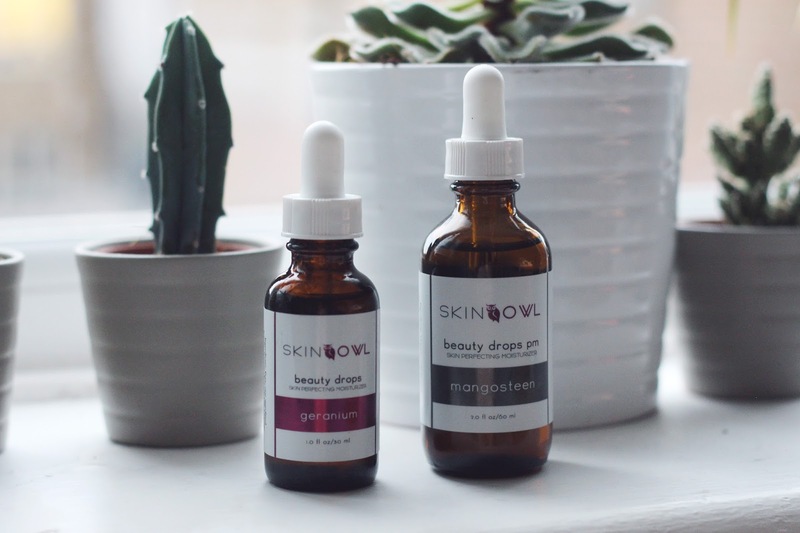 However, following an enlightening afternoon tea with Cult Beauty and the founders some of their best natural beauty brands back in July, I was turned onto SkinOwl. I don’t have acne but my skin is quite spot prone, but since using the Geranium oil regularly I have really noticed a difference. I still get spots, especially during stressful periods, but on the whole breakouts have been far less frequent, and less angry and gross. The organic rose geranium also helps with signs of fatigue, and generally dull and lacklustre skin (you can read more about the technical bits, as well as the extremely short and very natural ingredients list, on the Cult Beauty website). 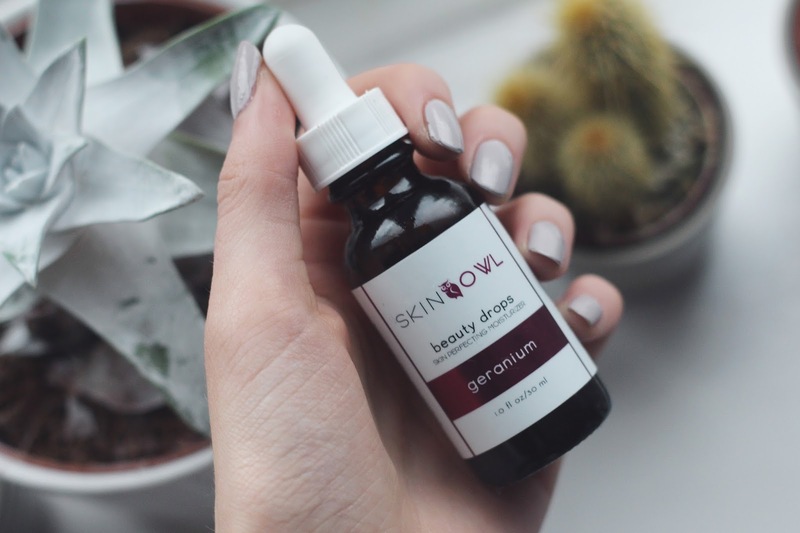 In short, after a few months of daily use I can wholeheartedly recommend the Geranium Beauty Drops as a replacement moisturiser – a 30ml bottle costs £24 which isn’t much pricier than a high end moisturiser, plus you only need a few drops per application, so it really lasts. As well as the Geranium oil in the am, I have recently begun using the Mangosteen Beauty Drops as a nighttime oil. 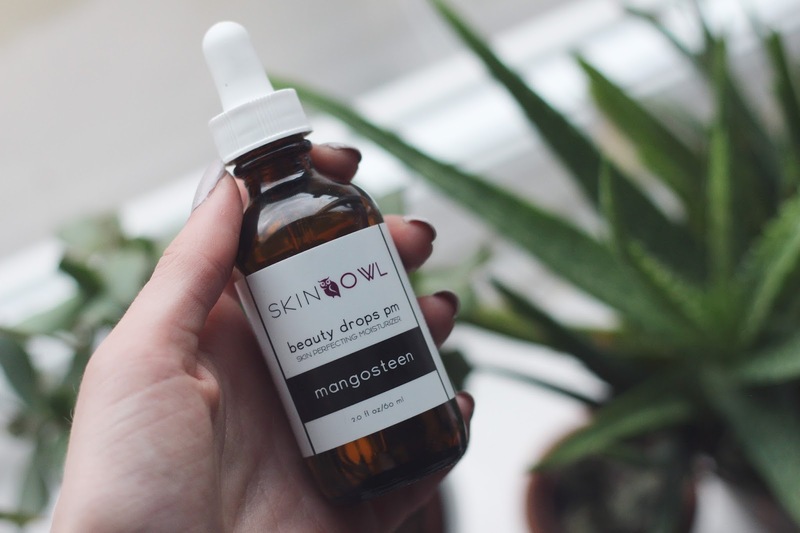 Annie, the founder of SkinOwl, came across mangosteen (a fruit!) on a trip to Vietnam and adapted its skin-beneficial factors (which again you can read about in detail on the product page) into a luxurious product. A few drops can be used as a nightly treatment (this is a little heavier than the Geranium Drops and so isn’t recommended for the daytime), or apply it more thickly as a ‘moisture mask’. TLDR; facial oils are great, these ones don’t have any nasty ingredients in them, and I can’t see myself swapping back to a regular moisturiser any time soon! If you have tired, spot prone skin, the Geranium Beauty Drops are the perfect place to start. My skin is a mix between spot prone and dull looking so it sounds perfect for me, I can't say I've heard of Skin Owl before! This sounds worth the buy, will hopefully work well on my skin! Great post.